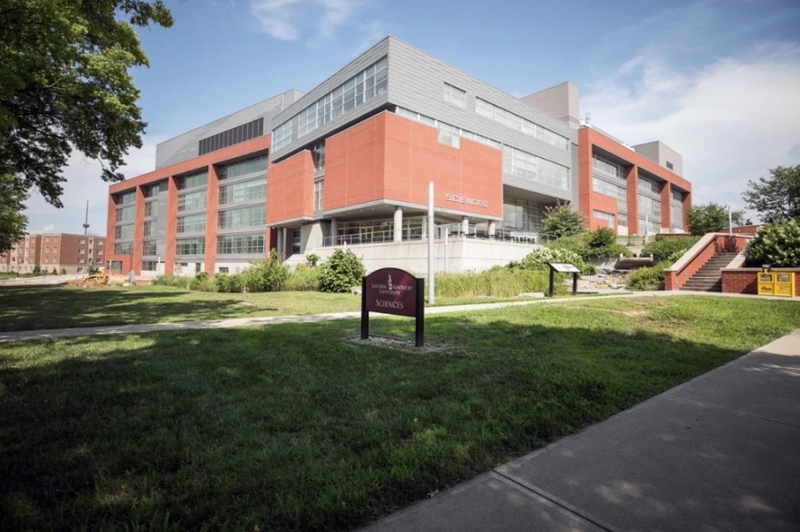 Decades before landscape designer Jon Carloftis grew up along the banks of the Rockcastle River in the Appalachian foothills, the Richmond campus of what is now EKU was described as The Campus Beautiful. Carloftis Garden, dedicated in May 2017, only adds to the splendor, reminding the campus and community that as new buildings of every purpose are altering the skyline, the addition of attractive green spaces at ground level is no less critical in the University’s ongoing revitalization. Though Carloftis has acquired a national reputation as the “Gardener to the Stars,” the EKU garden is the first he ever designed for a public university campus. Fronting New Martin Hall at the intersection of Lancaster Avenue and Park Drive, it replaces tennis courts that were moved to the south side of campus, greatly enhancing the aesthetic appeal on the University’s western periphery. Carloftis Garden is two acres, which is about 1.5 times the size of a football field, and it uses a high-tech irrigation system that relies on sensors to determine when the grounds need watered – you won’t see a sprinkler running during a rain shower. Additionally, about 75 percent of the plants in the garden are native Kentucky species. The centerpieces of the garden are twin fountains, one of which was donated by EKU Hall of Distinguished Alumni member Scott Northcutt, ’84, to honor his wife of 28 years, the former Anne Allegrini, ’86. The two met at EKU just two weeks before he graduated. Mr. Northcutt, a first-generation college graduate, is global senior vice president for Bacardi Limited. The Northcutts reside in Bermuda, but their minds often wander back to Eastern. 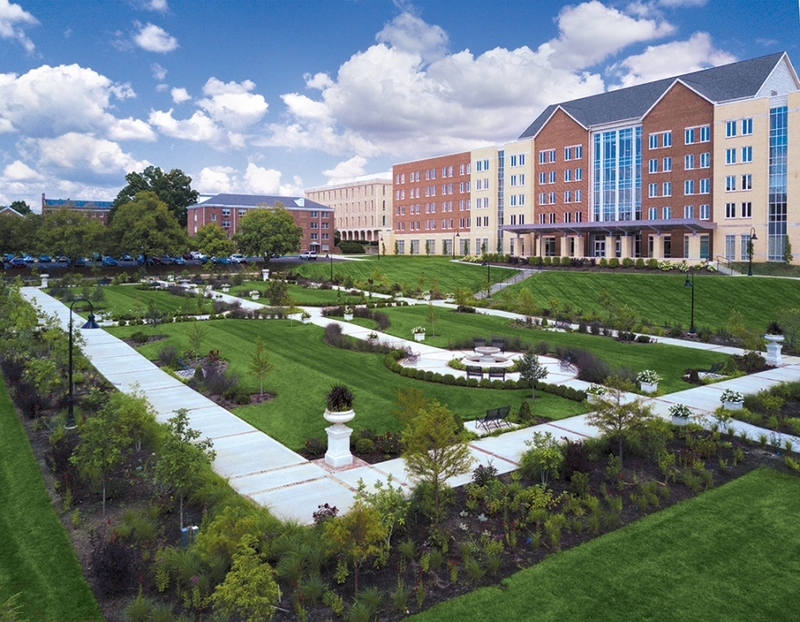 Carloftis Garden is just one component of the University’s ongoing campus revitalization plan, which includes new academic facilities, residence halls and dining hall, as well as various aesthetic enhancements. Eastern Scholar House, in partnership with Kentucky River Foothills and others, is expected to be completed in Summer 2017. 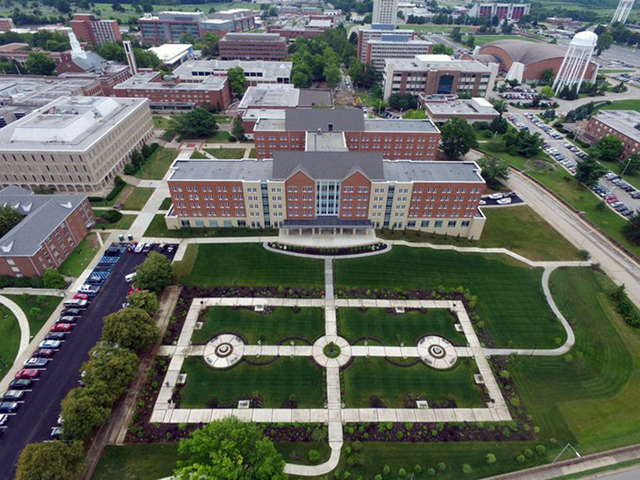 "Growth Happens Here" It was the theme of President Michael Benson’s back-to-school convocation message in August 2016, and it’s an impossible-to-miss reality for current and prospective students, faculty, staff, alumni, and visitors in an era of rapid and transformational change at Eastern Kentucky University. 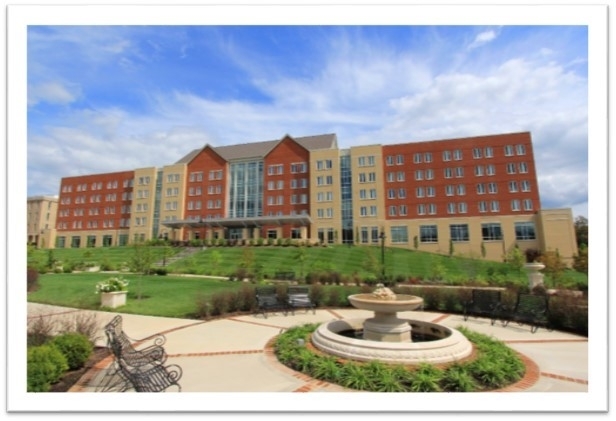 As part of an ongoing effort to attract, retain and graduate more of the best and brightest students and provide a living and learning environment that matches the high quality of its academic programs and services, the University has embarked on the most ambitious campus revitalization program in the institution’s long and rich history. Phase 2 of the New Science Building is on track for completion the summer of 2017. 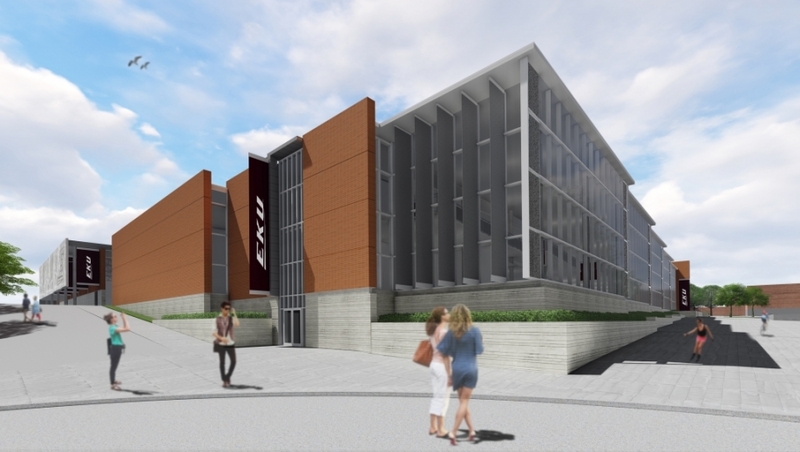 The addition, which will house the departments of Biological Sciences and Geosciences, will give EKU the largest such facility on any college campus in Kentucky and help boost enrollment and success in the vitally important STEM disciplines. Two new residence halls, both financed by a public-private partnership, are expected to open in time for the Fall 2017 semester. New Martin Hall, on the site of the former Martin Hall, and New Hall B, on Kit Carson Drive, will make on-campus living more appealing to current and prospective students, positively impacting enrollment and student success. Construction of a new dining hall, financed by the campus dining vendor, Aramark Educational Services LLC as part of a 15-year agreement, is expected to open in January 2018. The hall is located between the Powell Building and Case Hall. A new Eastern Scholar House, in partnership with Kentucky River Foothills and others, is expected to be completed in Summer 2017. Priority admission for the Scholar House program (apartments and childcare center) will be given to single parents, with dependent children, who are pursuing college degrees. All Scholar House residents will be required to participate in the program’s comprehensive supportive services. The Eastern Scholar House will be located on the former site of Brockton Apartments and near the current Fitness and Wellness Center. A new 320-space parking garage adjacent to the Scholar House, part of the same public-private partnership that is financing the new residence halls, is expected to open in Summer 2017. Carloftis Garden, near the intersection of Lancaster Avenue and Park Drive and also part of the residence hall public-private partnership, is expected to be complete in Summer 2017. 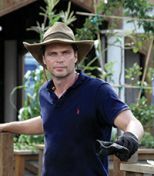 The garden, bearing the name of a nationally known landscape designer Jon Carloftis, is adjacent to the new Turner Gate, an attractive new pedestrian entrance near the intersection of Lancaster Avenue and Barnes Mill Road. 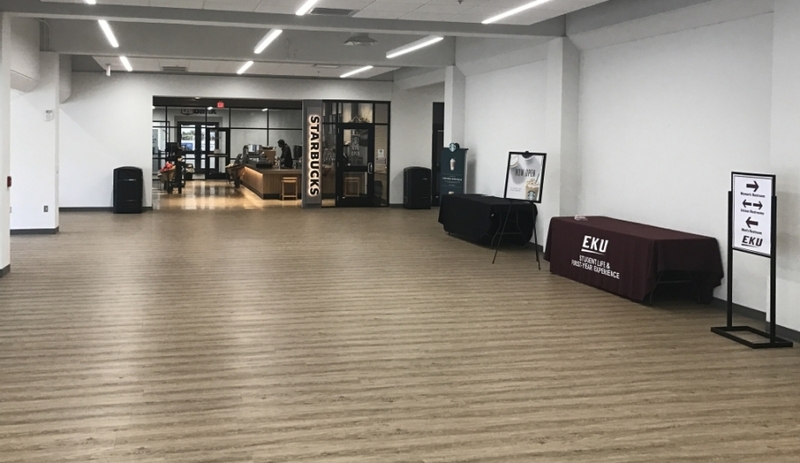 Craig Turner, chair of the EKU Board of Regents, and wife Madonna, both Eastern alumni, donated the funds for the manufacturing and installation of the gateway. 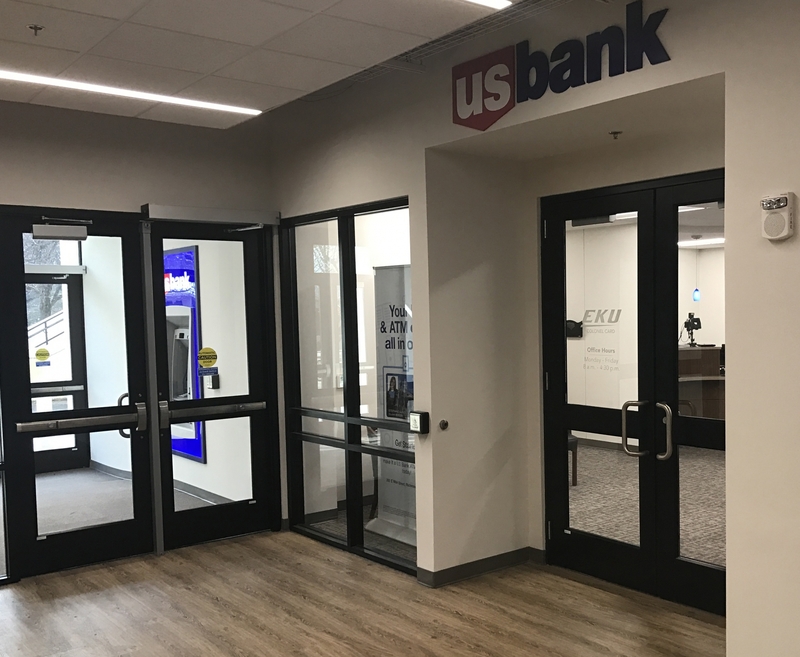 Planning is underway for both a renovated student union and a new student recreation and wellness center, both financed by a student special usage fee. 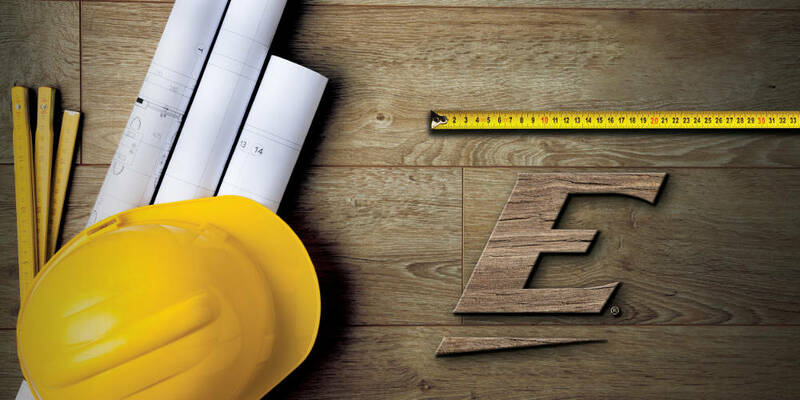 Construction should begin on the fitness center in Fall 2017, with an expected completion date of Spring 2019. Renovations to the student union should begin in Spring 2019, with completion expected in 2020. Completion of a second pedway, to traverse the Eastern By-Pass near Alumni Coliseum, is expected in Fall 2017, making for a better and safer connection between north and south campuses. The second pedway is also financed by the student special usage fee. The New Earle Combs Stadium and New Gertrude Hood Stadium, improvements in baseball and softball facilities, will be ready during the spring seasons. An expansion project on the east side of Roy Kidd Stadium, to be completed in time for the 2017 football season, will add to the fan experience as it will include more than 3,000 new bleacher seats and a concourse that will feature modern concessions and restrooms. The first floor will include new locker rooms, equipment room, game-day training area, and more. The athletics facility renovations and expansions are funded through agency bonds sold in 2015. 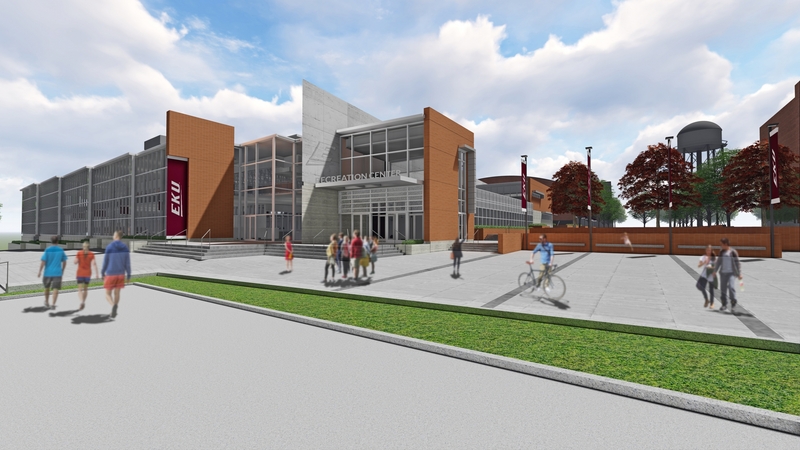 In partnership with Life Fitness, a dramatically expanded and renovated Strength and Conditioning Center will include a nutrition bar and serve all 17 varsity sports and more than 300 student-athletes. “These improvements will transform the way members of the campus community learn, live and work together, and even change the way others perceive us,” Benson said.